Methane (CH4) and nitrous oxide (N2O) are two important greenhouse gases (GHG) and contribute largely to global warming and climate change. The impact of physiological characteristics of rice genotypes on global warming potential (GWP) and greenhouse gas intensity (GHGI) is not well documented. A 2-year field experiment was conducted with eight summer rice varieties: Dinanath, Joymoti, Kanaklata, Swarnabh, IR 64, Tapaswami (modern varieties), Number 9, and Jagilee Boro (indigenous varieties) for two successive seasons (December–June, 2015–2016 and December–June, 2016–2017) to estimate their GWP and GHGI. The GWP of the rice varieties ranged from 841.52 to 1288.67 kg CO2-equiv. ha−1 and GHGI from 0.184 to 0.854 kg CO2-equiv. kg−1 grain yield. 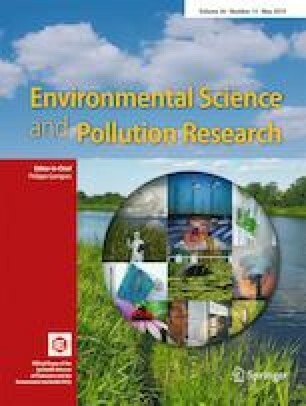 Significant differences (p < 0.05) in seasonal GHG emission, GWP, GHGI, CEE (carbon equivalent emission), photosynthetic efficiency, stomatal conductance, transpiration rate, and grain productivity among the rice varieties were observed during the investigation. A good correlation of GWP (p < 0.01) was recorded with rate of stomatal conductance and transpiration rate of the varieties. The present study reveals a strong relationship between plant biomass (p < 0.01) with GWP and CEE of the rice varieties. The variety IR 64 and Number 9 are identified as the most suitable variety with lowest GWP (909.85 and 876.68 kg CO2-equiv. ha−1 respectively) and GHGI (0.192 and 0.227 kg CO2-equiv. kg−1 grain yield respectively) accompanied by higher grain productivity (4839 and 3867 kg ha−1 respectively). Observations from the study suggest that agricultural productivity and GHG mitigation can be simultaneously achieved by proper selection of rice genotypes. The online version of this article ( https://doi.org/10.1007/s11356-019-05026-z) contains supplementary material, which is available to authorized users. Dipti Gorh is grateful to Tezpur University, for providing financial support to carry out the present research in the form of Institutional fellowship.